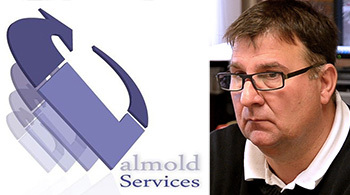 Valmold Services | FIDIA S.p.A.
Monsieur Verhaeghe, what were the stages in your professional experience that brought you to the head of Valmold, and how are your relations with Fidia? After working for different mould makers, where I learned the trade, I came here in 1991 to run the workshop; at that time we were one of the top five mould makers in France. In 1999, after a change in direction in the management strategy, I decided to change job and for a certain period, I worked as an employee with a manufacturer; it was a very important stage in my life that allowed me to gain experience on what goes on on the other side. When I found out that Valmold was being sold up in 2007, I thought that it would have been a shame to let a company with such a wealth of expertise and production means die off and so, after looking at the potential and the size of the investment, I took over and we began with the first steps towards making the company as it is today. At the time I moved back to Valmold, the Digit 218 and the K411 were already here. 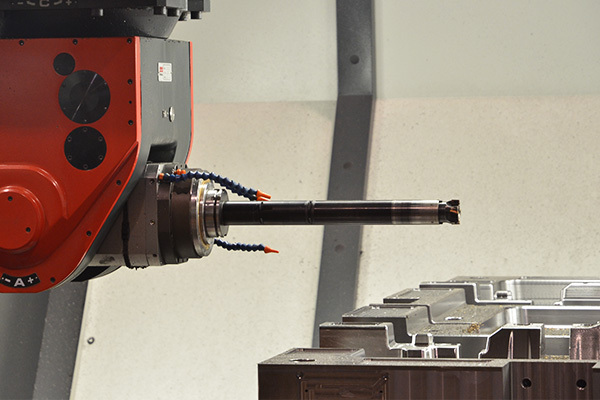 In any case, high-speed milling technology was not new to me because I had learned all about it in previous experiences in Europe and in France, and the benefits were by now obvious to all, above all the benefits in terms of productivity and delivery times. I knew Fidia very well due to their Numerical Controls and to the first 5-axis milling machine I saw working at Faurecia. Founded in 2000 after purchasing Duval Moules et Modèles in Saint Remy and Moules de Moll in Crissey, Valmold was then bought out in 2007 to become Valmold Services. The company specialises in the design, execution, maintenance and grinding of moulds in steel and aluminium for the plastics injection industry, aeronautics and armaments. 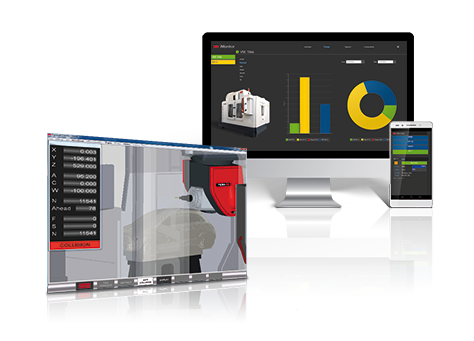 The design office develops technical, cost-effective solutions to cut operator intervention time to a minimum and improve production processes, working on three main aspects: the duration of the injection cycle by working on cooling, weight, and the optimisation of mould dimensions. Airbus, Eurocopter, Faurecia, Bryte Technologies USA, Plastic Omnium, Saint Gobain, and Vuitton are some of the most important clients of the company, which today has a workforce of about thirty. 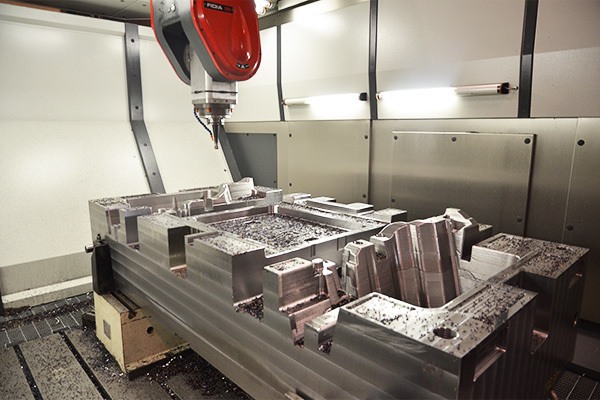 Over the years and with the experience of the Valmold team, captained by Franck Verhaeghe, high-speed milling technology has become established, thanks to the use of two 5-axes milling machines by Fidia, a Digit 218 and a K411. 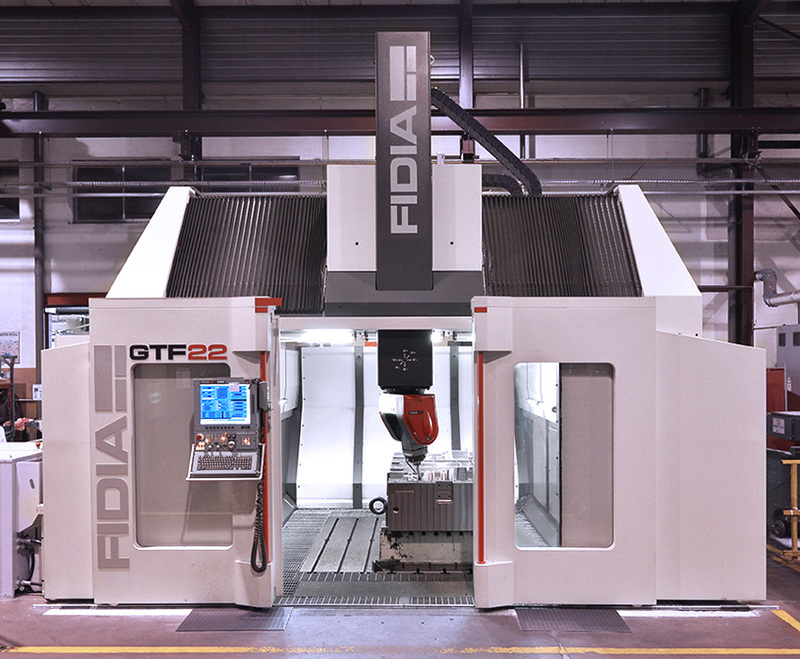 For its latest investment, after careful technical analysis of the different products, Fidia technology was judged to be the winner with the choice of its 5-axis portal milling machine, GTF2212/QA2700. For Fidia this recognition adds a seal to this longstanding loyal relationship. What do you think are Fidia’s three strong points? 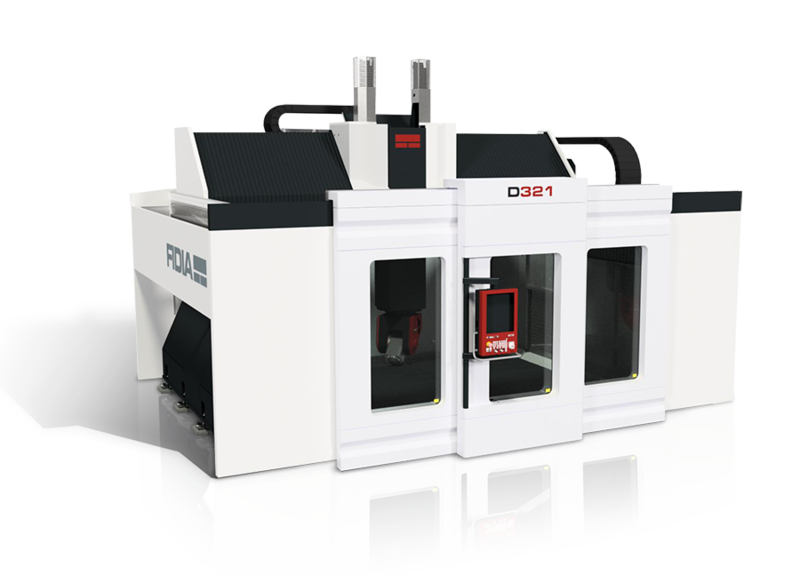 The innovative technology of the milling machines and Numerical Controls, their reliability and the fast service are three assets falling within the criteria that have been essential to our choices. 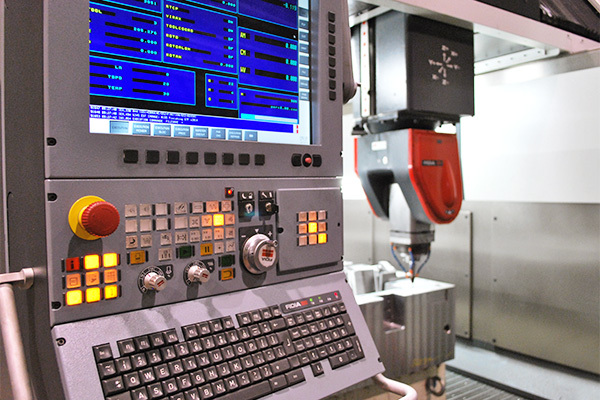 Today my approach is to use a single machining process, including, in addition to semi finishing and finishing, also boring and tapping that once were done separately on traditional machines. 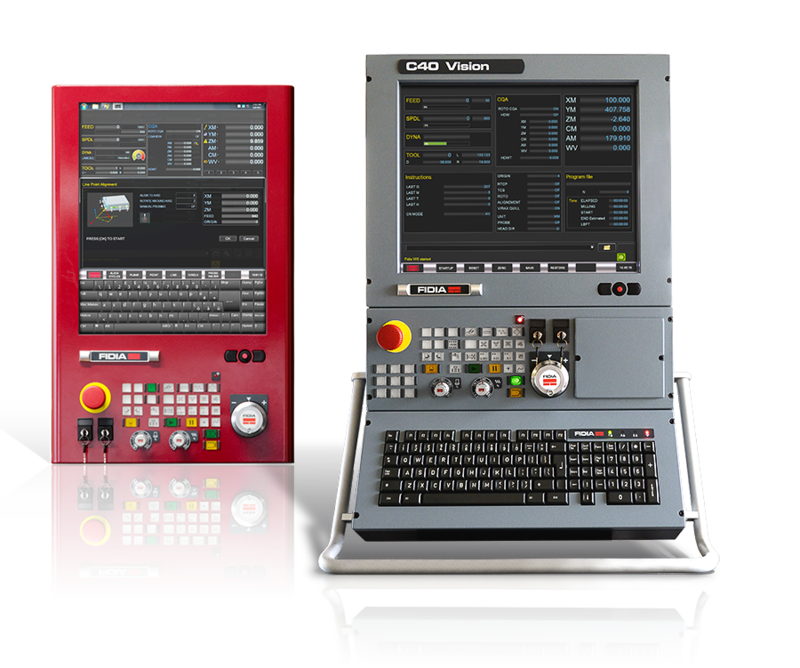 By purchasing two high-speed milling machines, the Digit 218 and the K411, Valmold was ahead of the concept of genuine high-speed culture. What are the developments in using this technology and what are the new challenges for your application area? When I came back here in 2007, high-speed culture was already deeply rooted. The K411 is an excellent machine but in the strategy of my predecessors, it was used only for semi-finishing and finishing steel moulds and this... was bothering me! The new strategy of the Company required a step forward to boost machine performance and make it able to satisfy multiple needs. 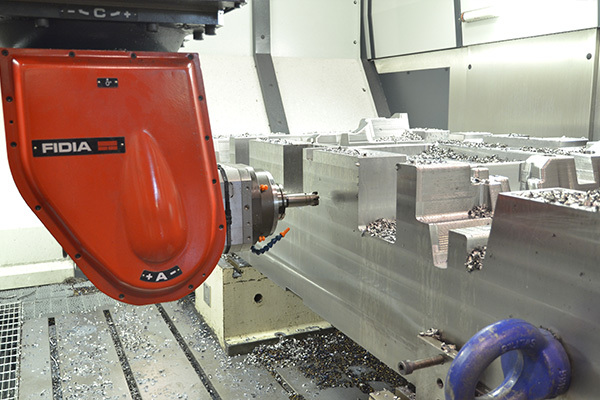 Today my approach is to use a single machining process, including, in addition to semi finishing and finishing, also boring and tapping that once were done separately on traditional machines. Now we have succeeded and this gives us notable improvements in terms of efficiency. Not only can we mill the 5 faces of moulds without disassembly, but we also make ¾” bores on your GTF. Moreover I am sure that the machine is able to do much more! The new GTF milling method has opened new markets, allowing us to acquire new clients we could not have aimed to before. 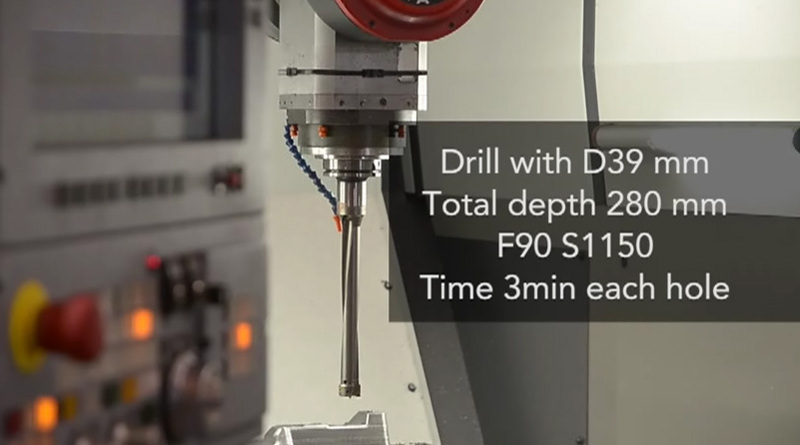 Production is organised differently thanks to high-speed milling. 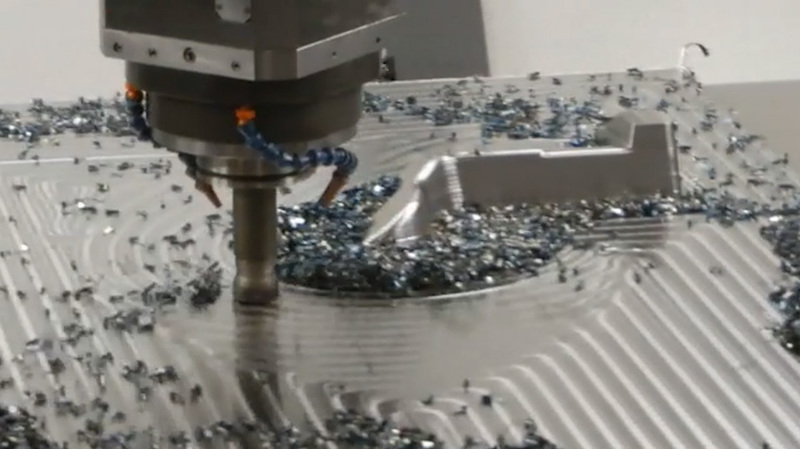 What types of machining do you think benefit the most from this technology? In the past we were often called on to create moulds for composite for the aeronautics industry, but the size of the moulds monopolised the only machine we had available, the K411. A few years later, we were receiving requests from a client for an emergency linked to the machining of a piece with a complex shape, 2500 mm in length. In the interests of client loyalty, we accepted the challenge, milling the block on the K411. At this point, satisfied by the results, I began to think about the opportunities we would have had for aeronautical machining with a machine that was even more powerful. To choose ”The Machine“, we made a careful selection of the best European manufacturers and after a series of tests on the different machining types, we selected your GFT/Q that met all of our specifications perfectly. We have had excellent feedback, confirming our choice, and we have just been congratulated on a mould made with the GTF for helicopter parts in the armaments sector; the accuracy and the quality we could demonstrate have brought the requests for six more similar moulds, boosting our credibility in a very demanding sector. The new GTF milling method has opened new markets, allowing us to acquire new clients we could not have aimed to before. What results did you have in mind when you invested in the GTF? 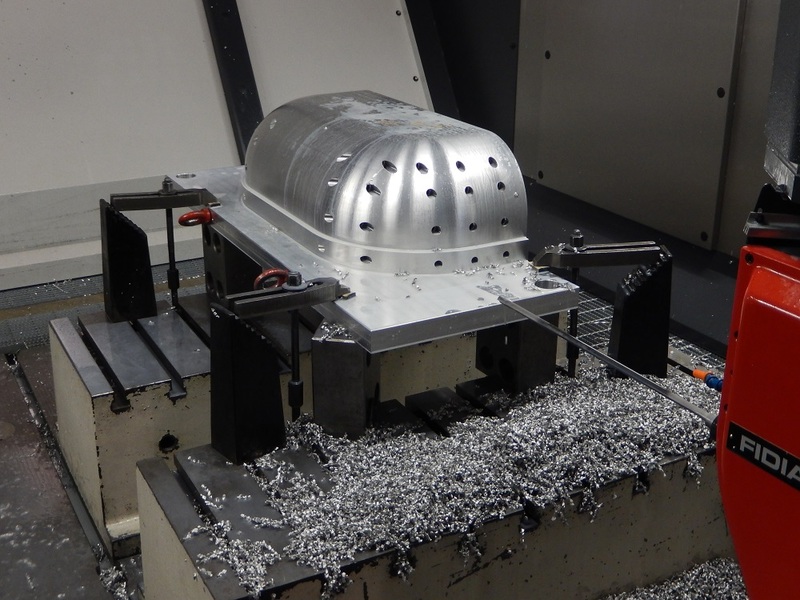 Valmold Services has been using milling machines with Fidia CN for years. Personally I was very satisfied with your products and services, so of course, it was natural for me to consider Fidia as well as the other suppliers when it was time to invest. I had high expectations for this new project; I needed to be sure that the technology we chose could fully meet our ambitions. As the project continued, Fidia confirmed the possibility to carry out roughing, boring, and tapping processes, which are essential parts of our approach to milling. 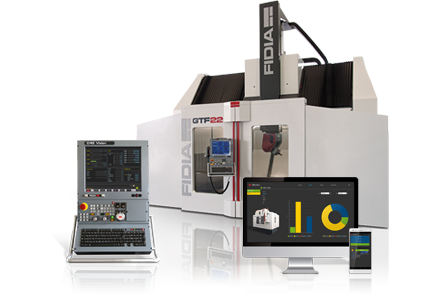 As the results have been quite evident, our choice fell on the 5-axis gantry milling machine, the GTF2212/QA2700 with Fidia C20 control, high-pressure lubrication and cooling through the tool, automatic tool measurements, and tracer for automatic tool alignment, all essential options for automated production. Integrating the new machine and its new technology literally overturned the standards in the company because it called into question several links in the production and in the programming chain. The result is obvious: we have had notable increases in production. The GTF is the locomotive behind our mould milling strategy. The GTF is the locomotive behind our mould milling strategy. What is your idea of the French market? Starting last spring, mould makers have been working in large volumes for export customers, and it is often a rush to meet deadlines. In the car industry, the reduced prices and delivery times have dragged down the whole moulds industry; this is why I want to gradually reduce our presence in this industry and focus more on others, such as aeronautics and military, where the performance of our technology definitively offers profit margins that are more interesting. In 2016, my aim is to consolidate and to increase market share in France in these two areas and in exports, heading to Algeria and Morocco. I am also considering starting up in new areas, such as medical technology. This will all be integrated with my programme to transfer skills into the company, a project I intend to complete so that our wealth of knowledge and expertise can last and be preserved through time. In fact, Fidia invests in relations that go beyond the simple link between client and suppliers, with a shared target of technological growth based on a constant exchange of know how. Would it be right to call it a partnership? Absolutely, of course, since we consider ourselves a single unit. 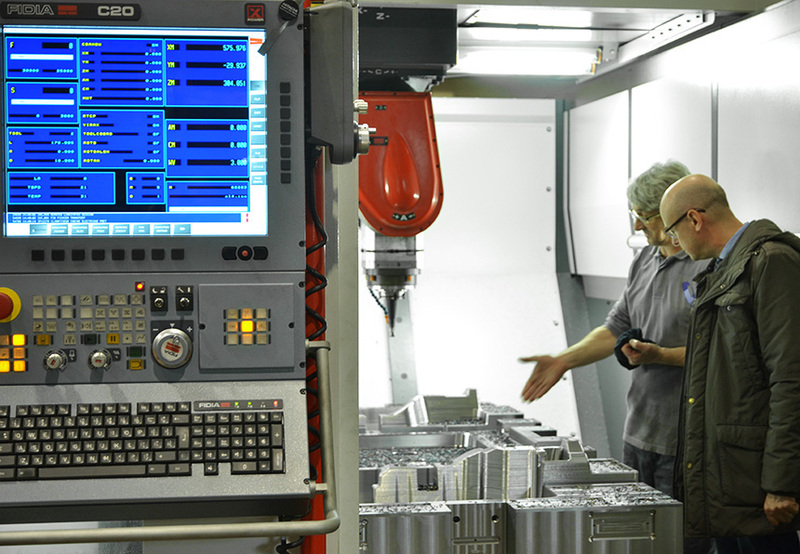 In fact, Fidia and Valmold can benefit from working together and from having a continuous dialogue when it comes to new applications. Today I am pleased to meet you and I appreciate your supervision, in noting the results obtained with the GTF. As advised by Fidia we got in touch with Hitachi Tool, a tool manufacturer with whom we carried out a real-time simulation on treated steel moulds over several days. After fine-tuning the cutting parameters, the results exceed our best expectations. 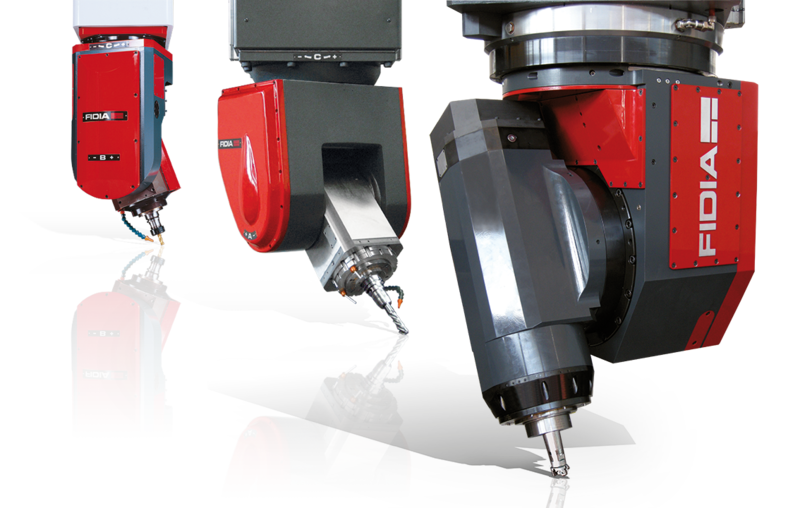 From roughing to complete finishing, including boring and threading, we have found a range of possibilities that we are offered by the dynamic pairing of machine and GTF spindle. Of course, I will keep M. Farant up to date with new developments, also concerning other machining I have in mind to push the machine to its maximum. We have been able to see from the evidence that boring and finishing can be paired and that everything is harmonised. For example, we are about to launch non-stop machining for the weekend. We can do this because we can count on a truly reliable machine, able to work 24 hours a day. When a company has skilled engineers to rely on, a machine that can use at its best performance, and programmers who know how to manage a tool path, everything comes together to achieve the best possible results. When you are aware that now it is possible to do 15 minutes’ work in just one... then anyone can feel like an entrepreneur because everyone in the business has put themselves on the line. For example, we are about to launch non-stop machining for the weekend. We can do this because we can count on a truly reliable machine, able to work 24 hours a day. In two weeks we didn’t use it just for 4 hours! In our experience of the GTF, the milling timeframe foreseen by our programmer is always more precise compared to the estimates made. 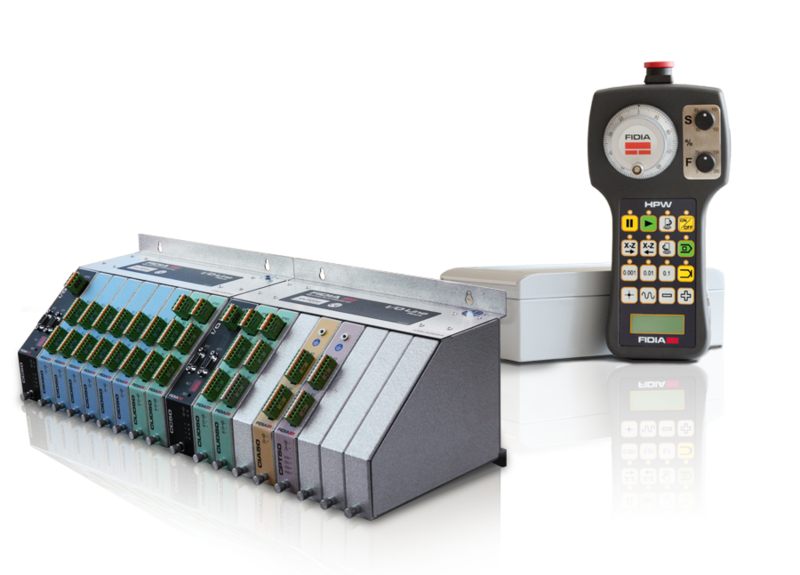 Workplace organisation has evolved and thanks to the performance of your machines, operators have a much more pro-active attitude, well aware that thanks to Fidia technology, we can create new opportunities for everyone. It is definitively true: this machine has involved us and pushed us to aim even higher!